It used to be promoted as the Ultimate Driving Machine. A range of ‘sports saloons’ that were the preserve of driving enthusiasts drawn to the image and the responsive rear-wheel drive chassis. An aspirational car for user choosers has made BMW one of the biggest manufacturers in the UK fleet market. And later this year, company car drivers will be able to choose a people carrier with front-wheel drive, and a transverse engine wearing a BMW badge. Already enthusiasts and bloggers have decried the introduction of the 2 Series Active Tourer as damaging the BMW brand, as if rear-wheel drive were a defining characteristic. If BMW’s appeal was in a producer of sporty rear-wheel drive saloons, then the brand had already been diluted with the launch of the X5 SUV. If we cast our minds back a few years, what could have been more damaging to BMW’s image than a company car driver stranded on the road, or left stuck at home because the rear-wheel drive layout had made driving in snow almost impossible? Since then BMW has introduced all-wheel drive models in the 3 Series and 5 Series ranges, perhaps also populating the market place with alternatives to Audi’s Quattro system. Car manufacturers can only survive when profitable, and the premium brands have been successful in broadening their appeal by creating new niches and raiding the territory of the mainstream brands. Some would argue these niches are best left to those cars you’d expect to find there. But BMW is thriving, as are other premium brands, while some of the mainstream car manufacturers are working ever harder to maintain their sales. Mercedes-Benz already has a car in the Active Tourer’s category in the B-Class, and no doubt there will be more. A company car driver who had always had a BMW in the past but had been compelled to look at cars such as the Ford S-Max or Vauxhall Zafira because it was more compatible with family life can return to the brand again. 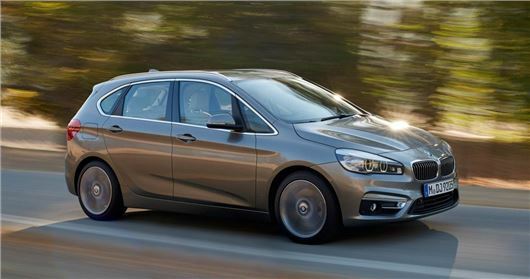 As one company car driver commented on the Fleet News story on the Active Tourer, family commitments had ruled out BMWs, but the 2 Series Active Tourer had allowed him to choose BMW again.